As I am off to see Granny Savidge Reads in hospital today, she has been there for about fifteen weeks now bless her, I thought that I would share some pictures from the last visit we had back in August. My home town of Matlock Bath and Matlock are some of my favourite places to go back to because it was so fairytale like for me as a child and when I went on this most recent trip I took The Beard to see one of the still rather unknown hidden gems of Derbyshire. First though, as we went there that weekend too, I will just remind you all of my childhood home that sits on Mason Hill in Matlock Bath which will illustrate just how magical a place it was (made all the more so as my Granddad, Bongy, would make up magical tales about the area), see for yourselves. 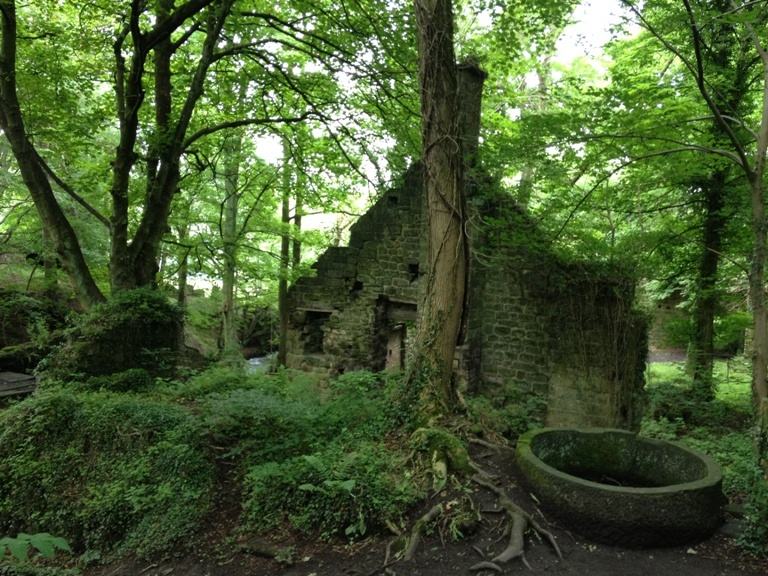 Being surrounded by trees and with the owners of The Heights of Abraham allowing me to use the park, its caves, secret hiding places etc as my own playground (as they were our neighbours) it did feel like being in a Grimm tale, without the tragic ending. When my grandparents sold it I was distraught but just down the road from my Grans new house (I say new she has been there for years) is somewhere that appeals to me even more as an adult. 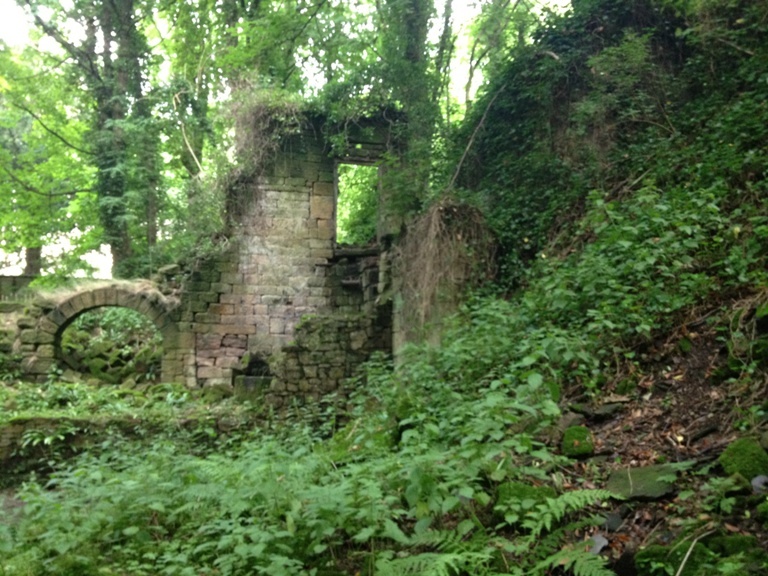 It is the spooky, and oh so well hidden, ruins of Lumsdale Mills. 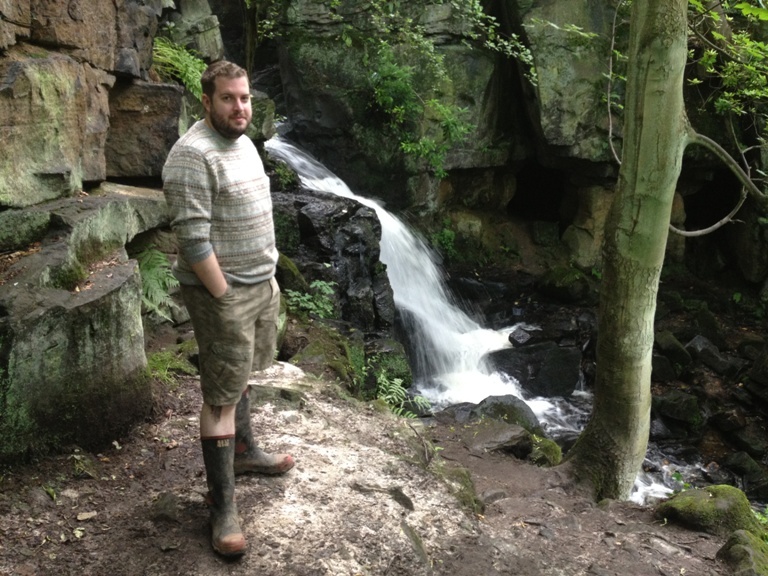 As you walk through from the first to the fifth mill you also walk alongside one of the most beautiful set of waterfalls (please don’t let my most strange attire that morning distract you from the natural beauty in the picture, ha). The waterfalls descend along with you the whole way, though I am rather annoyed that I couldn’t get a picture that truly does them justice. 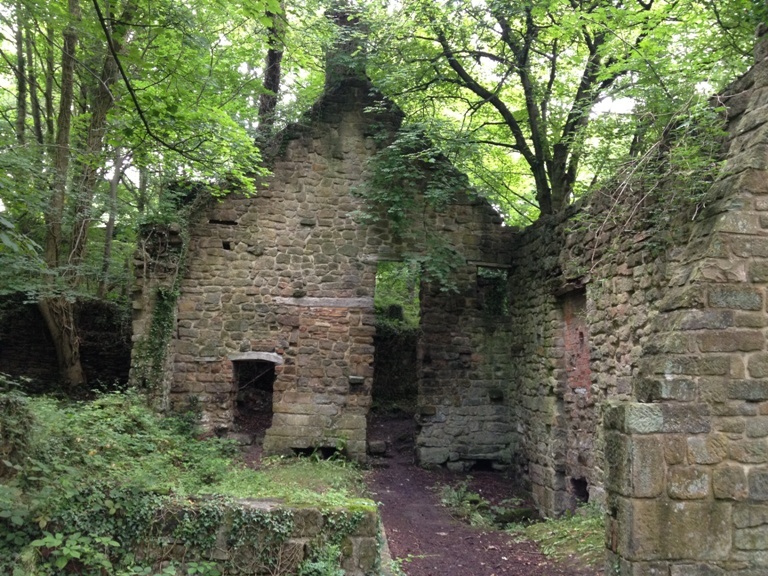 These were of course used for both the water mill and the flour mill which you reach when you get to the very bottom. What is amazing about it is the silence that hits you when you are there. We walked through it at about 9am and we only met one other man and his dog who we had a lovely chat with and who said ‘no one knows this is here, and we kind of like it like that.’ Oops. What is nice is that the Arkwright Society have recently taken over the spot and while it won’t be restored they are going to ‘freeze’ it so that it remains just like this forever. 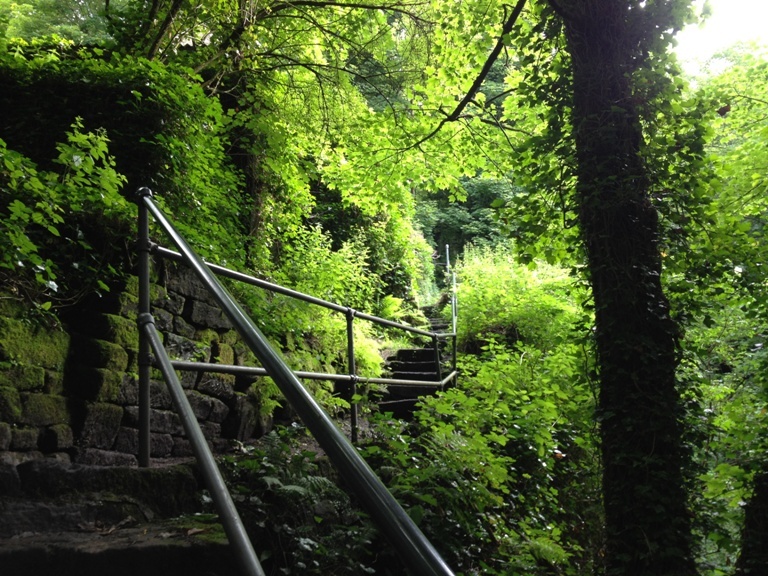 Well apart from throwing in a few things like handrails by the paths to make it safe. Indeed you must walk all the way up you came down but with even the pathways looking beautiful you don’t mind. You feel you are trapped in some other-worldly time. Its quite special. 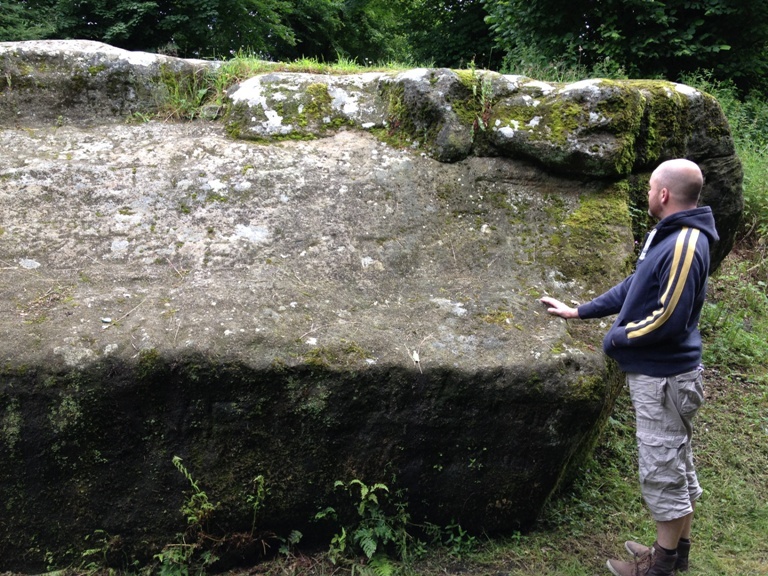 This is the Wishing Stone, and it too has many tales and local legends centred round it! One of which is that if you touch it and wish, whatever you wish may come true. The Beard has a go but alas he turned around and I was still there. Ha! Anyway I thought as I was off to Derbyshire today I would share some of it with you. I will send Gran your best wishes as ever and report back on how she is doing. 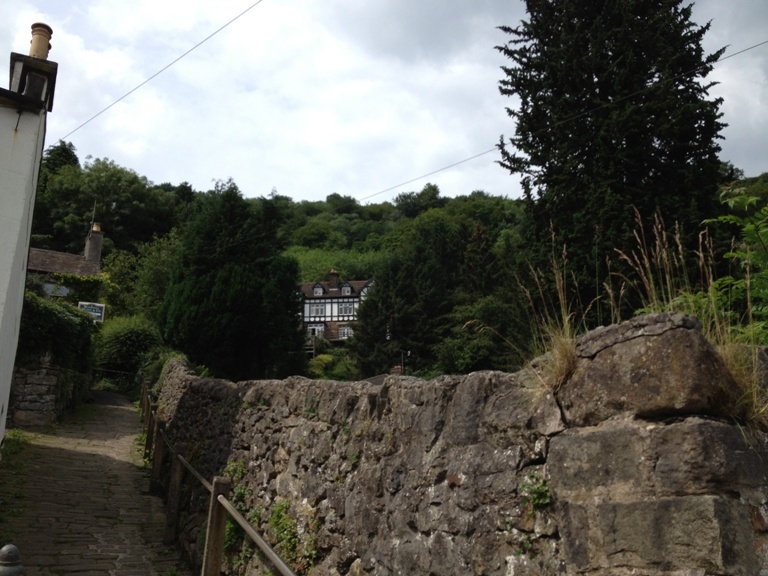 When I lived in Derby, I loved visiting Matlock. Beautiful pics, thanks. A pleasure Marina. It is techincally my home town and going back I see more in its beauty each time. Hope your Gran is OK. That’s a long time to be in hospital. Love the pictures – you’re right, it looks a really magical place. I don’t know if you have seen the updates but alas she is very poorly. Good thing is she is now at home and has the most amazing view and endless piles of books. 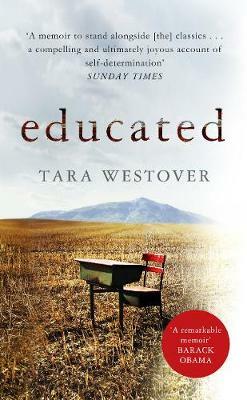 Lovely part of the world – one I wish I knew better. Remember driving through and coming across great bookshop, Scarthin Books? Must get back that way before too long. Scarthin Books is one of my very very very favourite bookshops in the whole of England. I haven’t had chance to pop in on my last few visits though. We had a wonderful weekend in Matlock when the children were small. Apart from a very scary moment having to turn round at a dead end on a very narrow street up a very steep hill with a sheer drop on one side and garden walls on the other! 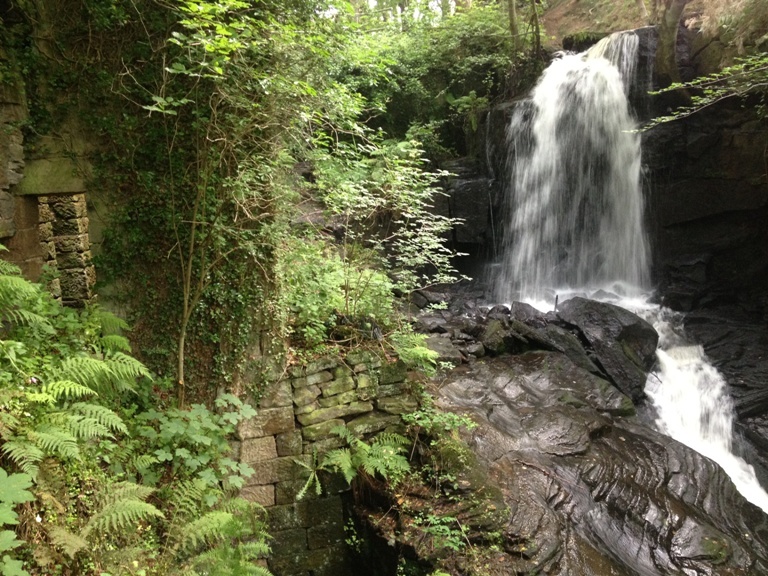 We did not find Lumsdale Mills but will seek them out when we return. Hahahaha those sound like most of the lanes that you can end up turning up in Matlock. Hahaha. I am glad that you visited your Gran. Please tell her to feel better. This place is so magical. What a great place to grow up. I hope that one of the mills can be converted to your personal atalier! My personal what? I have never heard of that expression before. Beautiful post thanks for writing it! We’d love to do the same walk, is it on private property? Where do you start/finish? If you have a route I’d be very grateful if you’d share it!